Herbert Bayer was born in Austria, where he entered into an apprenticeship under the architect and designer, Georg Smidthammer, with whom Bayer learned drawing, painting, and architectural drafting, inspired by nature and without formal knowledge of art history. In 1920, Bayer discovered the theoretical writings of the artist Vassily Kandinsky, as well as Walter Gropius’ 1919 Bauhaus manifesto, in which Gropius declared the necessity for a return to crafts, in which were found true creativity and inspiration. Bayer traveled to Weimar to meet Gropius in October of 1921 and was immediately accepted into the Bauhaus. There, he was deeply influenced by the instruction of Kandinsky, Johannes Itten and Paul Klee. In 1928 Bayer moved to Berlin together with several members of the Bauhaus staff including Gropius, Moholy-Nagy and Marcel Breuer. He found work as a freelance graphic designer, particularly with German Vogue, under its art director Agha. When the latter returned to Paris, Bayer joined the staff full time, and also worked increasingly with Dorland, the magazine’s principle advertising agency. 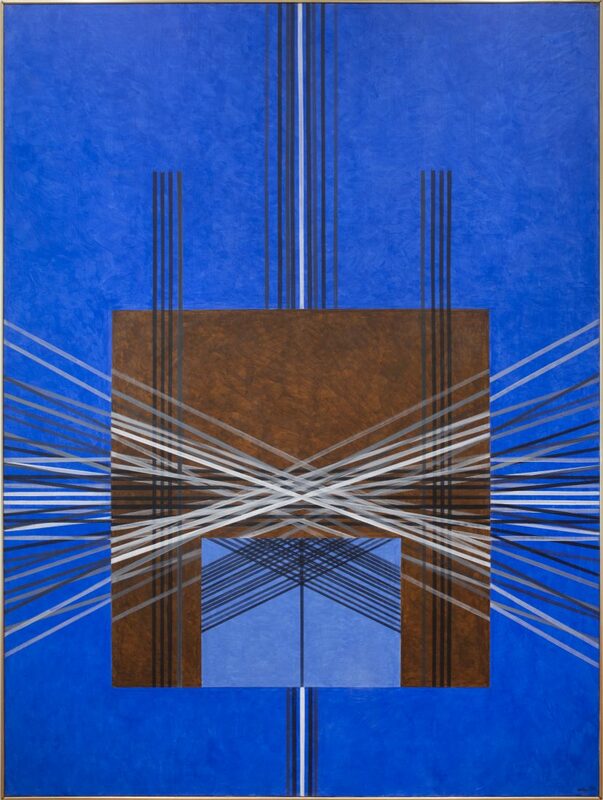 It was in the period from 1928 to his emigration to America in 1938 that he developed his unique vision as an artist, combining a strongly modernist aesthetic sense with a rare ability to convey meaning clearly and directly. This seamless combination of art, craft and design mark Bayer as true prophet of Bauhaus theories. Bayer followed Gropius to America in 1938, and set his breadth of skills to work later that year in designing the landmark Bauhaus 1918-1928 exhibition at the Museum of Modern Art. Bayer flourished in New York as a designer and architect, but it was his meeting with the industrialist Walter Paepcke in 1946 that allowed him to harness his concepts of ‘total design’ to the postwar boom. 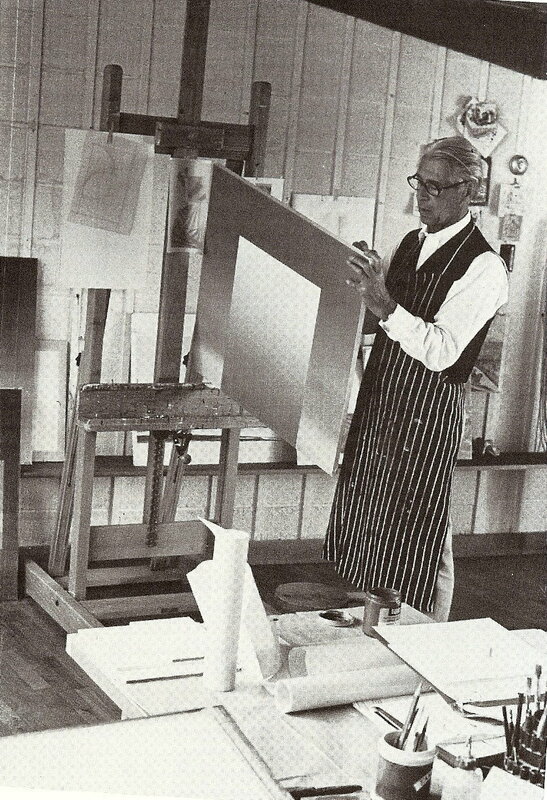 Paepcke was developing Aspen as a cultural and intellectual destination, and found in Bayer the perfect collaborator. Bayer was designer, educator and indeed architect for Paepcke’s Aspen Institute for Humanistic Studies (later The Aspen Institute), which promulgated the very Bauhaus project to encourage cooperation between art and industry and the role of the arts in society. From 1965 he fulfilled a similar role in advising Robert O. Anderson, chairman of the Atlantic Richfield Company. Bayer’s work is represented in the collections of the Guggenheim Museum, New York, Museum of Modern Art, New York, Whitney Museum of American Art, New York, San Francisco Museum of Modern Art, Bauhaus-Archiv, Berlin, Schubladen Museum, Bern, Switzerland, Kunsthalle, Hamburg, Germany, Museum of Modern Art, Mexico City.